From Maxwells field equations only the well-known (transverse) Hertzian waves can be derived, whereas the calculation of longitudinal scalar waves gives zero as a result. 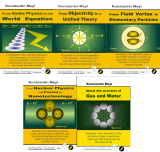 This is a flaw of the field theory, since scalar waves exist for all particle waves, like e.g. as plasma wave, as photon- or neutrino radiation. 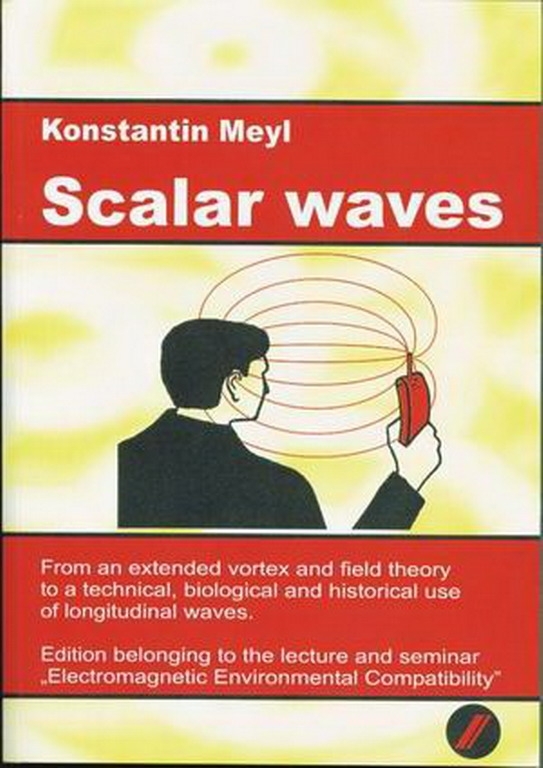 Starting from Faradays discovery, instead of the formulation of the law of induction according to Maxwell, an extended field theory is derived, which goes beyond the Maxwell theory with the description of potential vortices (noise vortices) and their propagation as a scalar wave, but contains the Maxwell theory as a special case. With that the extension is allowed and doesnt contradict textbook physics. 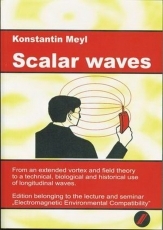 Besides the mathematical calculation of scalar waves this book contains a voluminous material collection concerning the information technical use of scalar waves, if the useful signal and the usually interfering noise signal change their places, if a separate modulation of frequency and wavelength makes a parallel image transmission possible, if it concerns questions of the environmental compatibility for the sake of humanity (bio resonance, among others) or to harm humanity (electro smog).